The art of leadership is a demanding challenge. It requires creating a highly engaged and purpose-filled team that shares a common understanding of what is expected and desired. Ideally, it is about exceeding expectations and having fun while doing it. 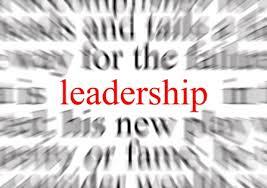 Unfortunately, the reality of leadership can be drastically different. Research from the Gallup Organization indicates large numbers of disengaged employees. Their previous research also shows that one of the primary reasons why employees leave organizations is because of a poor relationship with their immediate supervisor. These cases are not always about the “bad apples” that are ruining the leadership bunch. In many circumstances, the offending parties may not even be aware of their transgressions and what appears to be happening is a case of good intentions gone awry. A manager who I once coached (let’s call her Susan) provides a perfect illustration of this situation in practice. Susan was highly committed to her own career progression and that of her team. When she underwent a 360 feedback exercise, she received exemplary scores on her warmth, approachability, and concern for others. However, her top area of development was her tendency to micromanage. She was devastated by this feedback, as she felt this was the epitome of poor leadership. She also was perplexed as to why her employees could see her being so nice and approachable while simultaneously scoring her high on micromanagement. To her, this did not make any sense. Trying to better understand the context of this result, I asked her how she would manage me if I was on her team. She said she would check in with me first thing in the morning and go over my projects. Then, she would check in every hour on the hour to make sure I was on track. At lunch, we would reconvene and do a mid-day evaluation and she would provide me with very detailed feedback on where I needed to improve. Then, the morning routine would be repeated in the afternoon until end of day. Tomorrow the process would start over again. She said her former boss did this and it contributed to her own success, which was a key reason why she won her current job. She wanted to ‘pay it forward’ and give her staff every opportunity to get ahead. I asked her if she had ever explicitly explained the reasons behind her management style to her team. When she said that she had not, I asked how she would interpret these behaviors if she did not know the reason behind them. This manager had lost several key people who had tired of her ‘hands-on’ management style and those who knew her thought it was strange that someone so kind and friendly would have so much turnover on her team. This case illustrates what can happen when good intentions go bad. Susan did not set out to be a micromanager. She wanted her team to succeed and so replicated a strategy she had found very helpful. However, she never communicated the reasoning behind this to her employees. So, how can we avoid creating our own road to leadership hell? 1) Explain our intentions — Rather than assume others will interpret the good will behind our actions, we need to make our intentions explicit. People around us only see our actions and are usually unaware of the intentions behind them. When possible, take the time to explain your actions to avoid possible misunderstandings. 2) Look at your behavior through the lens of another person — We see and live the world through our eyes and motivations. Take the time to think about how others might see things. Recognize how you may come across to those who are unlike you. 3) Ask questions — This is a key leadership skill. Ask the people around you what they need from you. Check in and determine whether your actions are supporting their growth, development, and achievement. This open process of exploration may bring to light some challenges with your leadership style that you may not have otherwise seen. Despite our desire to lead positively, it can be relatively easy to slip into the trap of paving our own road to leadership hell, by not explaining our true intentions. It can be incredibly frustrating if we are receiving negative environmental feedback, even though our motives may feel pure. Taking the time to step back and assess our own behavior from the position of the people we are leading can help us to better appreciate how our management style is impacting those with whom we work. Rather than using our good intentions to pave a road to leadership hell, we can use those bricks to build a solid leadership and team foundation. Craig Dowden (Ph.D.) is the President and Founder of Craig Dowden & Associates, a firm focused on supporting their clients in achieving leadership and organization excellence by leveraging the science of peak performance. His firm’s main areas of practice include keynote speaking/workshop facilitation, executive coaching, employee engagement, and psychometric/personality assessment (including 360-feedback). In 2009, while living in Ottawa, Craig was recognized as one of its “Forty under 40” business leaders by the Ottawa Business Journal and the Ottawa Chamber of Commerce. 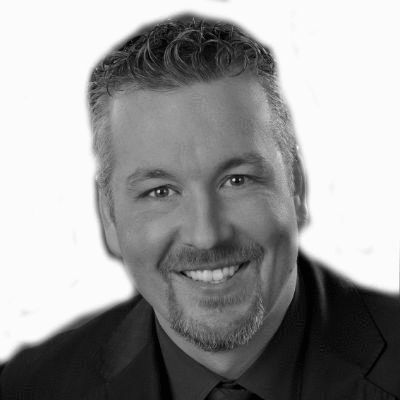 A frequent keynote speaker at conferences and corporate events, Craig shares his insights in various HR and business publications, including the Huffington Post (U.S.), the Financial Post, the Financial Times, Psychology Today, HR Professional, and Canadian HR Reporter. Congratulations to the 2016 Employees’ Choice Award Winners!